Growing up my family attended many potluck dinners typically held at our church after Sunday services. I loved to socialize with all my friends and of course sample each of the many desserts – after all, I was a kid and was NOT thinking about my waistline or healthy food choices! I think I would still enjoy a church potluck… it would just have to be minus the food! And not because I am worried about my waistline, but thinking back to those potlucks, nearly every dish was a casserole. What is so wrong with a casserole? NOTHING. I love creamy dishes and layered bakes! But let’s be honest. The casseroles most people are serving start with canned cream of soups – Yikes!! On our journey to eating a diet of real food, canned cream of soup had to go away PERMANENTLY! And so many people think when you toss these cans that are full of preservatives and chemicals, you have to say good-bye to so many casseroles. You can not only have any casserole you desire, but it will taste a million times better. And not only that, it will only take a few extra minutes, I promise! Make a roux. Sounds fancy, but SO EASY!!! But say it with flair and pat yourself on the back! It is just combining melted butter with flour. Cook for a minute to get rid of the raw flour taste. Add some milk, broth and seasonings. What broth/seasonings should you use–depends on WHICH cream of soup you want to make. Proceed with any recipe you want that uses a cream of soup recipe. See, easy! You CAN do it! This is not a recipe I use much, but the cream of celery adds a great freshness to many dishes and can be made vegetarian so you can use it in place of cream of chicken for a vegetarian dish. Melt butter in heavy bottomed stock pan over medium heat. Add celery, salt, celery salt, and pepper and saute until celery is beginning to soften--about 5 to 7 minutes. Add flour to pan and stir to coat. Allow to cook for 1 additional minute. Add milk and broth, whisking to incorporate flour into liquid. Bring to a boil and whisk well until mixture is quite thick--anywhere from 2 to 5 minutes. Homemade Cream of Chicken can be the base of so many dishes. We use it for my Papa’s Homemade Chicken Pot Pie, which is how I learned the basics of making a roux and essentially a homemade cream of soup. It is also the base for my Creamy Parmesan Chicken Casserole. Heat the butter over medium heat. Add the flour and cook for 1 minute. Add ½ cup milk and ½ cup chicken stock, blending well and bring to a boil, whisking the entire time. Season with salt and pepper. Once the mixture comes to a boil again, whisk just until thickened--anywhere from 2-5 minutes. This is essentially the base for my Cheesy Chicken and Rice. I add a combination of chicken stock and milk, but feel free to use all milk or all vegetable broth. Personally, I think half broth and half milk is the perfect ratio to compliment the cheese flavor. It would be fabulous in hash brown casseroles as well! And you can vary the cheeses to make cream of pepper jack cheese soup or cream of swiss cheese soup too – you get the idea! Heat the butter over medium heat. Add the flour and cook for 1 minute. Stir in ½ cup milk and ½ cup stock, blending well and bring to a boil, whisking the entire time. Add cheese and season with salt and pepper. Whisk until mixture is thickened and cheese is melted, about 2-5 minutes. Worth Noting: When you are adding liquid to your recipe that calls for a can of cream of soup, use additional broth instead of water for additional flavor! If you are looking for the traditional Cream of Mushroom soup, try Tiffany’s recipe HERE. I would love to hear from you: What dish you are looking forward to making using one of these homemade cream of anything soups? This post was written by Kristen at A Mind Full Mom. You bet. I have made them with a gluten-free flour mix before and it does work. I would add slightly less (by a tablespoon of the gf flour) Now you can enjoy those creamy dishes gluten-free and preservative free! Thanks for GF modification. We are adding a Dtr in law to family who is GF so needing to revamp our recipes. Thanks for the help so we can make her feel 100% welcome. I’ve not had a lot of luck with creamed cheese soup, though, so I’m excited to try your version! Do you ever make huge batches and freeze in “can” portions in Ziplocks? I use pint-sized jars, and can it. (PRESSURE CANNER! No shortcuts; they can kill you.) To make it, I put cooked diced chicken, or celery, or cheese, diced butternut (delicious!) and a bit of black pepper. To make mushroom cream soup, I use mushrooms that are either already canned, or I pre-can them, because they’re tricky, and botulism is a horrible way to die. So what you do is make the cream base above, then in a sterilized standard mouth jar (wide doesn’t seal as well, and isn’t as safe) I put 1/2 cup of diced chicken or whatever I’m making, and fill the jar according to the Ball Blue Book. We’re at high altitude here, so I’m not really paranoid, I’m just careful. Canning of thickened product by any method is NOT recommended by either USDA or Ball. All of their canned soup recipes are “chunky” veg and proteins in a thin broth. 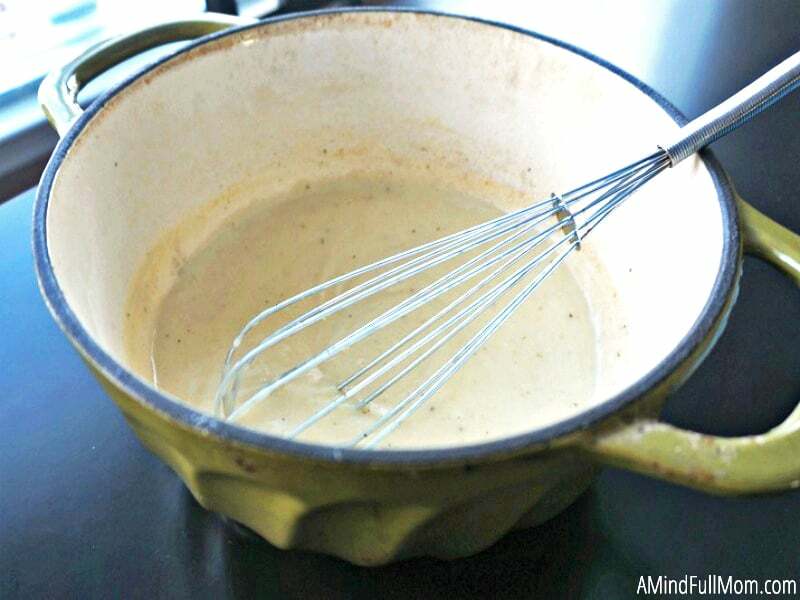 Blending, adding flour and cream, etc to turn into a “cream of” all happens AFTER storage and opening – i.e. just before serving. I love the look of these recipes. I really miss cream of mushroom soup since going gluten-free as I haven’t managed to find a GF equivalent, and although I’ve found a GF cream of chicken, it’s a bit expensive. If I make up batches of these, can I freeze them to either defrost and cook to eat just as the soup itself, or to defrost and use in other recipes? I’m very excited to try these recipes, especially since they don’t contain a huge amount of sodium! Just like other readers, I’d really like to freeze these recipes. Have you tried this? I’m not sure how to make a large batch with a roux. How long do you think this would keep in my fridge? I’d like to make it ahead of time to use on thanksgiving, to avoid having a ton of things to make at once. I make a “cream of…soup”, but instead of a roux, I use white beans that I make into a flour – I’ve used my blender, food processor, or the best option (only because I already have one) a wheat grinder or spice grinder (for small amounts). And it only takes minutes to make. Basically, you bring your liquid to a boil, add in the bean flour, cook for 3-5 minutes, and it’s done. If you’ve used a blender/food processor, you’ll want to then reblend the soup to make it more creamy as sometimes, those two methods don’t grind the beans into a good flour, so the second blending gets the little pieces that didn’t break up, broken up. So this soup would then be gluten-free/grain free. And if you don’t use milk in it, it’s Milk free. You can use water with bouillon, veggie, chicken or beef stock, milk, tomato juice, etc. You can also just use some canned veggies, bring to a boil, add the bean flour, cook, then puree (or leave whole) and have a quick soup. Some canned meat (I have chicken and ham that I’ve pressure canned) or left-over meat can also be added. Pretty much instant soup and in the quantities you need. OH, and if you grind pinto beans, you can have “refried” beans in 3 minutes – with out added fat if you don’t want any fat. (Bacon grease…mmmmmmm – hey, don’t judge me, I’m from the south!) And the ground pinto flour can also be used to make brownies that do NOT taste like beans! Chickpeas would probably work for hummus, and black beans for black bean dip. I lost about 15 years of My Documents 6 months ago, so ALL of my back ups, recipes, etc are gone. I’m moving soon and my bean book is packed up. (thankfully, I’m only moving about 1/2 mile from where I am, but it’s a bigger apt.) Look on my blog as I think I placed the recipes for instant bean “cream of…” on it. This will freeze as all that is in it is liquid, beans and bouillon. You can also make shelf packets, in zip bags, then put the bags in a Mason Jar. You could even use a O2 packet or vacuum it in a food saver. Or you could use the one cup measurements, mix the bean flour and the bouillon (crush it if it’s a cube) together, measure it and then let the rest of us know how much it made. Then we could simply make any size Mason Jar full, mixed together well and then measure it out as we need it. I keep any type of flour I’ve ground in the freezer in zip bags inside a #10 can. That way, you keep the nutrients intact longer. Once something has been ground or broken open, then the vitamins in it start to age a lot faster than when it’s kept whole. great idea! the cream of mushroom looks especially good to me. From one crumb saver to another, thank you for sharing your cream of soup recipes. I’m delighted to find them, as I no longer buy canned soups of any kind. They all look delicious. I’ve shared this page as my Recipe of the Day on Facebook and Twitter and now follow you in my reader as well. Thank you for the compliment Kathryn, and for following us! Thank you for reminding me these soups can be made at home and we all can control what goes into it. Commercially made anything has too much salt for me. These look so good! And healthy! Thank you for sharing. I am curious if anyone has tried making more and freezing? I would love to have some ready to use anytime. Hello. I notice for all the other cream of soups I would need to wisk the melted butter and flour together but not for the cream of mushroom? I just want to make sure I’m doing it right. Should I follow the recipe as you have it or wisk the butter and flour together first? Can you tell me why the Cream of Mushroom recipe only has 2 Tablespoons of flour and all the other recipes use 1/4 Cup (4 Tablespoons)? I just found you today looking for a mushroom recipe. It looks yummy and light. I was also wondering about the flour. I learned to make what was called “white sauce” in Home Ec about 54 years ago. Forgot all about it until I learned to make a roux to make gravies and chili con queso (like at Casa Olé. The hubs is sensitive to a lot of seasonings and preservatives they put in the commercial cream soups. I feel like I have found a gold mine. I’m making enchilada casserole, rice and bean for Christmas Day and I’m tickled that I don’t have to buy cream soups now. Thank you so much! Yes you can Sbb! Almond milk would likely work best in these recipes – just follow as written and substitute! I don’t use anything but almond milk; no one ever knows. What do you recommend for a substitute for Cream of Potato Soup? It would depend on the recipe Anne. What are you using it for? I used to use a DIY dry mix with dehydrated milk, but it wasn’t the same. I am excited to get rid of the cans again and use something that I actually know what is in it. Thank you for sharing! I’ve been making my own cream of anything soup for about 40 years now, so this isn’t really a “new” concept. It’s basically the same thing you talk about here, except that I always browned my flour first, otherwise the whole things tastes like raw flour. You can use arrowroot to thicken, as well, but remember that arrowroot will give the whole thing a rather gelantinous mouthfeel, which isn’t bad it’s just different than what you’d expect. When used in a casserole, however, it’s not really noticeable. Oh my gosh, thank you! I have stopped making recipes that call for preserved ingredients and always thought I would experiment with making my own recipes when I had “time”…thanks for doing the experimentation for me! I’m a Southern girl and have made biscuits and gravy for over 50 years. Imagine my chagrin to discover that a cream soup is just gravy made with different seasonings and diluted to soup consistency with some broth!! I have absolutely got this idea now!!!! Still, I have tomatoes and basil in my garden so I’m going to make your tomatoes basil soup tonight! When you have a garden you learn to use it while you have it!! Ihave celery also so I’ll add a touch of that too. These look awesome! One question though. One of my favourite casseroles calls for a can of condensed cream of mushroom soup. I don’t add water. How can I make my own condensed so I can still make the casserole? Can’t wait to try these! How long would these last in the refrigerater/freezer? These will last several months in the freezer, and about a week in the fridge. I made 6 recipes of this at once for tater tot casserole and then to have some extra in the freezer and the flavor is great, but it’s quite peppery so be aware. How do you cook this cream of chicken with rice when and what kind of rice? I’m sorry Gail, but this isn’t a recipe for cream of chicken with rice. 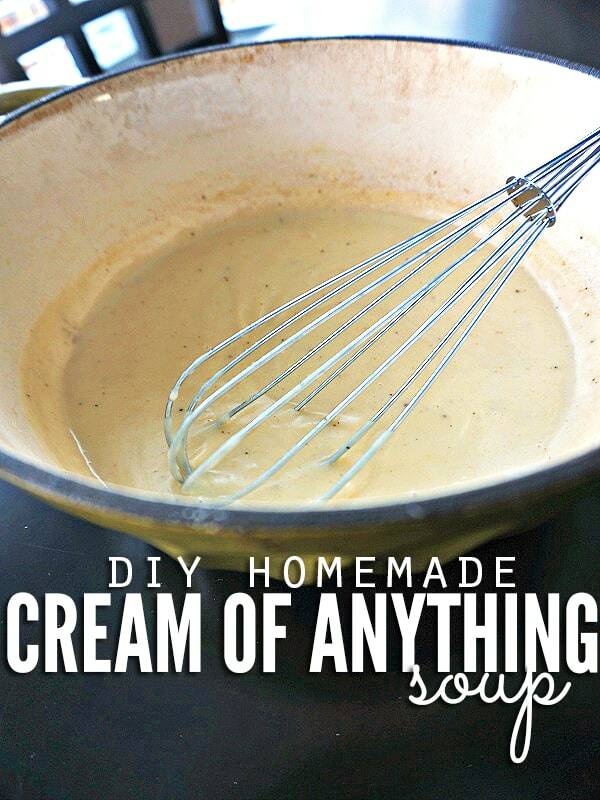 You can make this “cream of anything” soup and substitute it in for your recipe! I saw the post about making this gluten free, but I don’t use the baking blends. Would glucomannan or collagelatin(by bulletproof) work instead? Or would almond flour work? If so, how much would I use? Ps…I will also be using unsweetened almond milk. I can’t wait to try in one of my favorite recipes from my Mom! Trying to make it as Keto friendly as I can. Thank you! Thanks Tiffany. I’ll give it a try and let you know.